Updated: Rovio has now given TechRadar a statement on why it has stopped making games for the Windows Phone platform. It reads, "Rovio's games are available on a wide variety of mobile platforms, including iOS, Android and Amazon. "Many of our games are also available on Windows devices, although for commercial reasons this platform is no longer a focus for us, and no further game updates for this platform are planned. However we continue to provide help to all customers, regardless of their mobile device." Original: Rovio made one of the most popular mobile gaming franchises of all time in Angry Birds and until now the games have been available on Android, iOS and Windows Phone. Now Rovio has confirmed it will no longer be developing games for Microsoft's Windows Phone platform. Rovio wrote in a support email for a customer, "Rovio games are also no longer developed on Windows Phones. The only devices that are still supported and updated are Android and OS devices. "We are sorry for the inconvenience. If there is anything else we could help you with please, do not hesitate to contact us again." 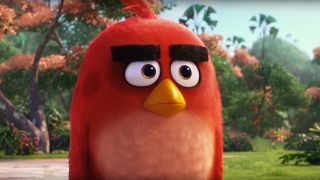 There's no word on when existing games will be dropped from the store, which means you can still play titles like Angry Birds Star Wars, Bad Piggies, Angry Birds Epic and Angry Birds Go. But this confirmation does mean it won't be developing any new games or updating its current roster so if you want the latest from Rovio you may have to move to Android or iOS.